Intense, infectious, and inspiring “Young America” by The Design, the band’s sophomore album released under Unmistakable Records, has been turned loose on the public . The Design has a unique sound that reminds me of old school Post-Punk as it progressed into the Indie rock scene creating a complex avant-garde sound. Singer Kat Robichaud possesses a strong spellbinding voice reminiscent of the mythical Siren. Kat’s voice is perfect for delivering the artfully crafted lyrics as heard on the track “Burn”. Inspired by the novel heroine of the “Hunger Game” trilogy, “Burn” is sure to quickly become a crowd favorite. The album itself is a showcase of the bands versatility starting with the track “Scream”, a song to motivate one to get out, find this band, and party hard with them. Toning it down a bit comes the methodical ballad “Sing Girl, Sing”. In direct contrast to “Sing Girl, Sing” is “Red Alert”, a hard driving Rock-N-Roll song. As you can see there are songs on this album that transcend traditional genres as well as differ greatly from one another maintaining a common thread. The drummer (Bryan Smith), guitarist (Mike Yaeger), and bassist (Kurtis Keber) whirl their individual talents to create hard driving beats perfectly complimenting the edge of the singer’s powerful vocals. “Young America” is a well put together project ensuring The Design will keep the Raleigh music scene a cut above the rest. You can purchase this album at The Design’s website: http://thedesignmusic.com/. 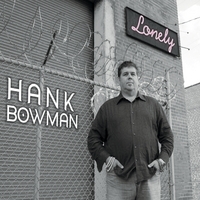 Legendary Hank Bowman has put together a project that I have grown very fond of over the past few weeks of listing to the cd. In the album titled “Lonely”, The Outliers have managed to intertwine Country and Bluegrass with Blues and a touch of Soul. I have listened to this cd better than a dozen times and I can truthfully say this music goes perfect with a quality Bourbon and leisure time. I have known Hank quite some time and am a fan of his previous works but I believe this project is my favorite to date. Finding new music today that I tolerate for more than 15 seconds and not lose my supper is tough, but The Outliers new album is great in large doses . The contestants for my favorite song are Lonely in Carolina, Mother’s Message, Tonight I Hope-The Lord Just Turns His Head, and, Loneliness and Desperation. I look forward to enjoying The Outliers live and enjoying the tunes. You can purchase the cd here and it is my opinion that you will not be sorry. Awesome work Hank! 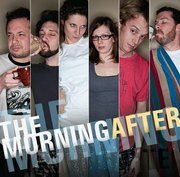 Rachel Koontz and The Morning After release their debut album and it is well put together. The music has a rich soulful sound that is as much Blues as it is Funk, Bluegrass, Soul, Latin, and Classical. I expect there are even more influences but that is what I picked up on right away. I know that sounds like a lot and one would even wonder how it all will mesh together but trust me it works. One thing what caught my attention was a few of the songs even have a deeper meaning that gets one to thinking. Rachael even put her spin on a Lynda Dawson original that is a current Kickin Grass song. I won’t get too much deeper so as to not spoil it but this is one worth checking out. 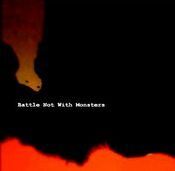 Battle Not With Monsters releases self titled album Battle Not With Monsters. 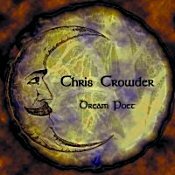 The album is well executed and is a mixture of Indy Folk music, Americana, and a few songs that have Celtic overtones. Battle Not With Monsters is a duo from Durham NC consisting of Singer-songwriters Patrick Blackburn and Philip Hollingsworth who have been working together in music for over ten years, this is evident in the big sound put togther by two men. Truthfully this music has depth and is most appreciated when you have time to really listen to the lyrics. I enjoyed the cd thoroughly and look forward to seeing Battle Not With Monsters live as they promote this record. Airiel Down releases Shine a bone jarring in your face album. The music on this album is as good as it gets but be careful listening to it while driving, I nearly scored myself a speeding ticket coming from a friend’s house on 64 highway. For all the “cookie cutter” acts that out now skewing what music really is this band sets themselves apart with a unique sound that has heart. What caught my attention is this recording is exactly what you would hear at a live show. I have seen Airiel Down twice now and they are not to be missed live but having a copy of Shine on hand will get you by between shows. 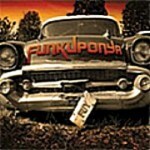 Funkuponya releases self titled debut album Funkuponya July 1st 2009. This my friend is the epitome of Funk music that really sets a mood through creative use of instrumentals. Funkuponya has a rich soulful sound that translates well from the stage to an album but that is not reason enough to miss them play live. This group of talented musicians are much more than the sum of its parts and this recording reflects that throughout. 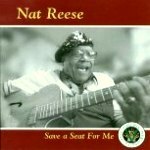 Nat Reese releases Save a Seat for Me a fantastic collection of Blues and a few Gospel tunes. This recording really takes you to another place and paints a picture in your mind’s eye. Hidden in many of these songs is great advice that is not hard to find if you pay attention to the message. This my friends is music with soul, which is becoming harder and harder to find. 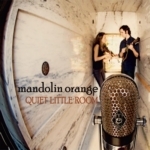 Mandolin Orange release Quiet Little Room which somewhat sets the tone of the album. The songs are very intimate causing me to visualize a small quiet venue in which this music takes root. This is very singer/songwriter with a touch of Bluegrass. This is an album that would not be suited for background music but more so to be the focal point of your attention. 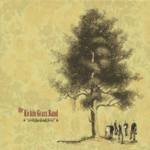 Kickin Grass releases self titled CD Kickin Grass in 2008 with Superfan Records. An Excellent mix of Bluegrass, Americana, and a touch of old school Country music that entertains as much as tells a story. What appeals to me especially is this bands ability to mix up the sound by trading off lead vocals from Lynda, to Jamie, to Patrick. Though the style changes little it is almost like three different sounds that follow the road (this will make more sense when you listen to the record). Many of the songs are penned by Lynda herself and reflect her interpretation of events that have unfolded as well as unique ideas. 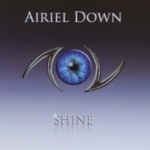 This CD (Airiel Down – “Shine”) is so much better than anything played on radio. It is truly from the heart and you can hear it in every song! This band is destined for greatness. Black Heart Kings had their release of ‘Delayed’ on 1/3/13, and the album is already getting press! Listen to their debut album at blackheartkings.bandcamp.com.